Here at Guestline, we love getting to know our clients and finding out more about the fantastic properties that use Guestline software. 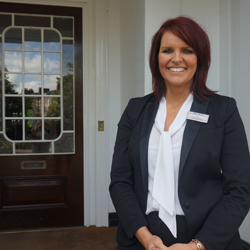 This month we have interviewed Lucy Readshaw from the Bannatyne Hotel in Darlington to find out a bit more about her role as the General Manager. Describe your hotel and its facilities – We are a Grade II listed townhouse, in the heart of Darlington's West End. Offering 60 bedrooms, fantastic restaurant and bar with a reputation all of their own and an array of functions suites allowing us to create bespoke weddings, christenings and corporate events. Describe your job in a nutshell – Overseeing all departments within the hotel, working closely with the management team ensuring efficient service from both an operational and customer service perspective. I like to provide a supporting role for all members of the team as I believe a happy team leads to happy customers. What’s sets your hotel apart from the rest? – A unique mix of traditional and modern features gives our hotel a desirable boutique feel. Complimentary access to state of the art fitness facilities for all guests and my superb team create a friendly and welcoming atmosphere.Our prime location offers excellent travel links, perfectly situated to visit Darlington's designer shops and thriving nightlife, whilst still offering the tranquility of our sun soaked terrace and gardens. What’s your favourite thing to do in [your local area]? – As a working Mum I treasure any opportunity to get in to the beautiful surrounding Yorkshire Dales with the children and Buster, our westie! What are the first 3 things you do when you come to work? – First thing I do, is visit each department for an update on their day, any issues? Then I head to my office to check emails and paperwork with a cuppa. Following that I do my daily aesthetic and maintenance walk around, checking everything is in good working order. If you weren’t working in the hospitality industry, what would be your dream profession? - Having the opportunity to admire our Brides' dresses during the Hotel's weddings each week, I'd like to think I've become quite the dress connoisseur! And therefore a bridal boutique, with rail upon rail of beautiful gowns would be an amazing business to operate. What’s been your career highlight so far? - Following 12 years in banking deciding to make a career move to another sector was a scary one but following my appointment as General Manager at a Bannatyne Health Club and subsequently a move to the hotel arm of the business, I am very proud of my success in three very different industries. If money were no object what would you have at your hotel? We would appreciate additional space to extend rather than money only. 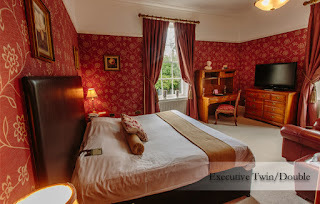 If we had the space we would love to extend the bedrooms further and add an additional function suite but due to our town centre location and Grade II listed status, we have already extended as much as we can. What’s the most embarrassing thing you have done at work? Well hotel life is never dull and I'm sure there have been a few - but one that come to mind is a guest was having a fabulous surprise 60th birthday and needless to say after my questioning over the location for the cake, it wasn't a surprise anymore! What’s your guilty pleasure? I dont know if its my guilty pleasure as I don't feel that guilty but my favourite films of all time are the Rocky films, never tire of watching them especially Rocky IV. If you could skip to the future what would you do? I would love to see 20 years in the future, to see how my children's lives have turned out and have they achieved their dreams....and did my husband ever tidy the garage! If you could describe yourself as a cocktail which one would you be and why? – A good Mojito will always make you smile, and that's how I'd like to think of myself! They're refreshing and sweet and have universal appeal. What would you do if you won the lottery this weekend? - I think I would book a flight to the Maldives with my husband and spend the weekend deciding how to share the money and then come home and change my families lives. Final say: Any special offers, insights or promotions to tempt our readers to your hotel? - We've recently launched 3 fantastic wedding packages, which have proved an enormous success. These all-encompassing packages start at £4,995 for 70 day and 100 evening guests, and provide everything the modern Bride needs for an incredible day. A great topic that reveals the whole point, the work is done and described quite well, I think that english essay could help with this.It is very beautiful, I just love it, I really would like to go there, I like everything so much.